More details of the impact of the Browne Review emerged this week. Twenty four universities look set to see their entire teaching grants scrapped, including LSE and SOAS, with 73 universities seeing their teaching budgets slashed by more than 75 per cent. • More details of the impact of the Browne Review emerged this week. 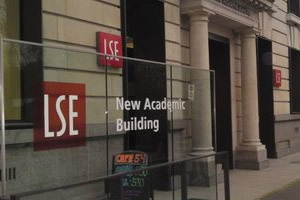 Twenty four universities look set to see their entire teaching grants scrapped, including LSE and SOAS, with 73 universities seeing their teaching budgets slashed by more than 75 per cent. The headline news on tuition fees this week, announced by univerisities minister David Willetts, is the cap on fees will rise to £9,000 by 2012. To rub salt in right-wing Eurosceptic Tory wounds, the Anglo-French defence pact follows the prime minister’s Brussels budget settlement last week, in which he agreed to a 2.9 per cent rise in the European Union budget. Left Foot Forward would like to welcome Monsieur Cameron into the pro-European club; he’s a Eurosceptic no more! Ian Birrell, David Cameron’s election speechwriter, who this week turned on his former boss over the immigration cap, calling it a “daft idea” and describing it as “the sort of gesture politics that makes some sense in opposition but turns out to be nonsense in government”. On Wednesday, immigration minister Damian Green was grilled by David Cameron on Newsnight over the impact of intra-company transfers, which David Cameron said would be exempted from the cap – despite the Home Affairs Committee’s recommendation that “to make any significant reduction in non-EEA economic immigration, a cap would have to include intra-company transfers”. Woolas, who was appointed shadow immigration minister by Ed Miliband just last month, has said he will apply for judicial review. This morning, the excellent Liberal Conspiracy website revealed that it was Woolas, when in office, who authorised the use of force to deport immigrant children. Scotland: Labour leader Iain Gray told his party’s conference in Oban that he was “ready to serve” whilst MSPs vote to end Thatcher’s “right to buy” policy in Scotland. I think the correct decision was made by Labour on Woolas, given that he has been found guilty in this way. I heard Lady Warsi on the news criticizing Ed Miliband for putting him on the front bench whilst all this was going on. Well is that the best she can come up with? Lets remember that this is the same woman who alleged electoral fraud, but couldn’t back those allegations up. I also note that News International’s attempt to take over BSkyB has hit the buffers. I think there’s absolute hipocracy among NI’s supporters about the size of the BBC, when they don’t seem to be as concerned about NI’s shair of the market. Everybody knows there is massive postal voting fraud carried out almost exclusively by Labour. I hope they reform it before Woolas’ by-election. Everybody will be watching. Jack Straw is only an MP through voting fraud. And what evidence do you have for that? ‘Merthyr_Bill’ I wouldn’t trust the Daily Mail. If Tory supporters have any allegation to make it should be done through the propper channels. I suppose, though, that you should be commended for trying to produce some evidence on this matter; more than Warsi did.